Summer comes but once a year. 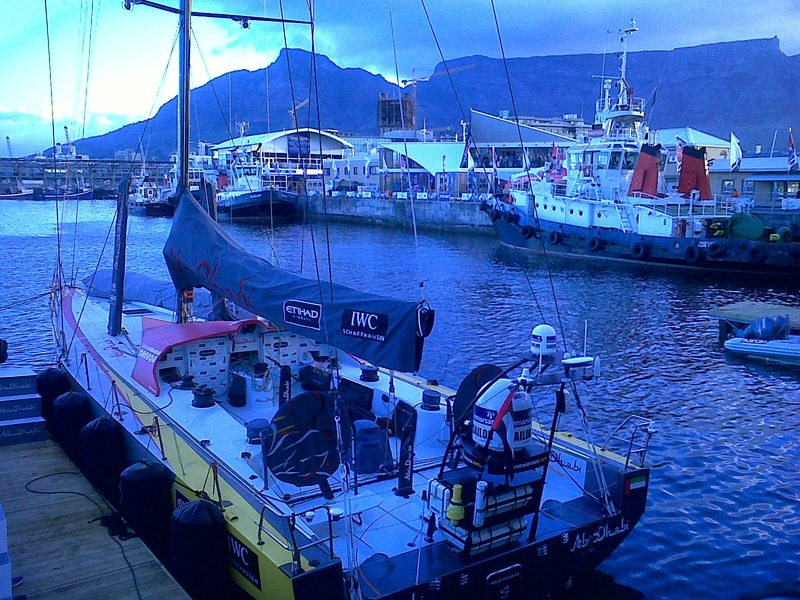 Yachts from the Volvo Ocean Race arrive only every 3rd year in Cape Town. So this time I told myself to get more involved. The 1st weekend I specially went to see the yachts on the dock while they're busy servicing them. The Race Village is a carnival atmosphere buzzing with foreign visitors, sailing crew and staff manning the many exhibits, working on the yachts, and fixing the sails. Thanks to the many friendly girls at the Volvo Pavilion I have a great time playing their interactive games: loading a truck with an excavator, parking a motorized yacht, and driving a sailing yacht around the bouys. Later at the theatre I even get to physically wrench up a sail together with a team mate. According to all my scores I think it is definitely best that I stay on land, and on foot. It’s the 2nd weekend and I’m determined to better my scores. Finding the port yacht race console unmanned my apprehension turns to excitement when I push the START button. The yacht moves off at speed. Focusing intently, my eyes flick between the green needle at the bottom left and the yacht bearing down on the bouys in front of me. Moving at an incredible pace I pass through the 1st green zone, swinging the wheel smoothly I make the 2nd, turning the big wheel wildly I make the 3rd narrowly. The time on top is 1:30:10 as I go through the 4th. Elated I turn towards the checkered flag. My eyes veer down towards the needle and when I look up the bouy is directly in front me! Despite swerving violently I crash the yacht! There’s a sinking feeling in the pit of my stomach. I feel drained and empty as my score appears on top: 70th. Come race day I brave the peak traffic and get to the rise behind the V&A Waterfront overlooking Table Bay. 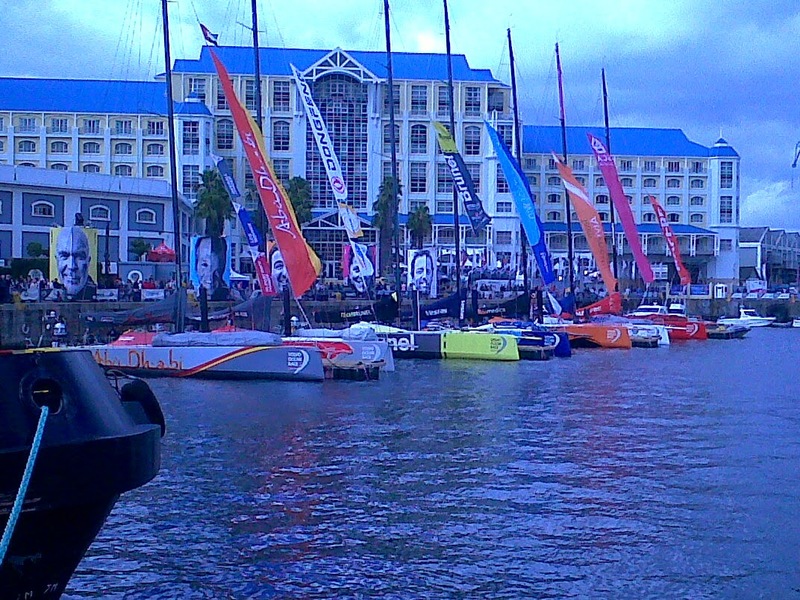 The yachts slowly move up and down in anticipation of the starting gun at 18h00. With 2 sails hoisted they disappear towards Milnerton and come back in a light breeze before regrouping temporarily at the starting bouy. Each yacht slowly takes off in a different direction to try and catch the best wind which will take them out of the Bay and around Cape Point. I walk towards the Volvo Pavilion and am pleasantly surprised to be able to follow it close-up on a big wall screen, courtesy of 4 helicopters hovering around the yachts. I still need to make amends, so my next move is directly to the yacht racing console. I’m hyped for action as the girl presses START. Focusing intently I steer confidently through the 1st, 2nd, 3rd and 4th green zones. Tension mounts when the checkered flag appears in the distance. With my eyes fixed on it, the yacht closes in fast and I turn the wheel slightly, passing through the centre of the 2 bouys. Thrilled, I look up at the time and my score: 01:36:36 – 79th! Quotations of each team member are posted on billboards on Quay 6 next to each yacht. 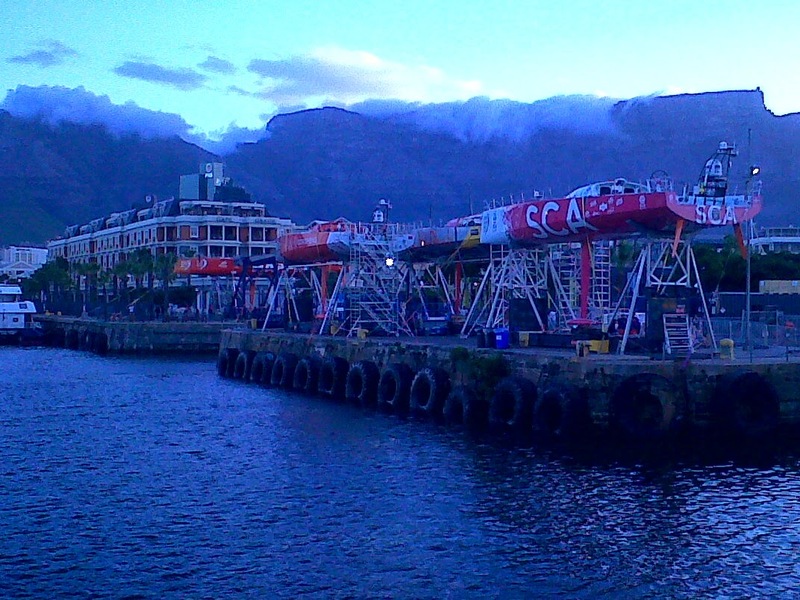 Here are those of the skippers, listed in their order of arrival in Cape Town. Also very inspiring is a series of quotations on billboards spread outside the Race Village. These I arranged in order of my personal favourites. Et bonne chance à vous aussi! Labels: "Abu Dhabi Ocean Racing", "Anton Blignault", "Dongfeng Race Team", "FMS Wine Marketing", "MAPFRE", "Team Alvimedica", "Team Brunel", "Team SCA", "Volvo Ocean Race", Team Vestas Wind", V&A Waterfront"